Drs. Rabalais and Turner pictured on a graphic produced from their survey data. 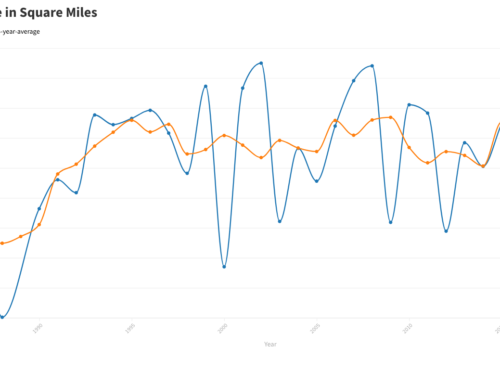 Author’s note: This piece involves technical issues about gulf hypoxia and assumes that the reader has a basic understanding of the phenomenon. If you don’t fit this description check out this four minute video clip primer on the gulf dead zone from the National Oceanographic and Atmospheric Administration (NOAA). Each year during mid-June the evening weather report takes on special significance in south Louisiana, as forecasters scrutinize satellite images for signs of low pressure cells off the west coast of Africa. The drama swirling around the fate of our coast through September is almost palpable. Meanwhile the approach of the summer solstice also signals the beginning of a second coastal drama on the relative magnitude of this year’s dead zone. 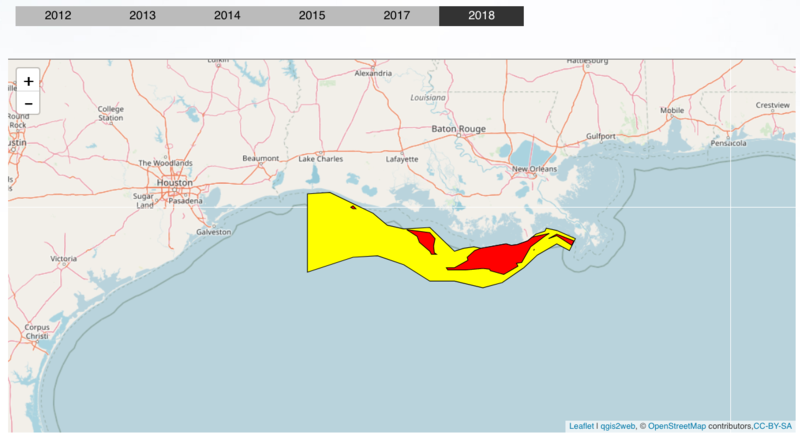 This drama generally flies well under the public radar, despite the valiant efforts of a pair of Louisiana coastal scientists to spread the message that gulf hypoxia is indeed a serious threat, worthy of a regulatory campaign at a nationl level. Most environmental advocates fall into this primary dead zone camp. 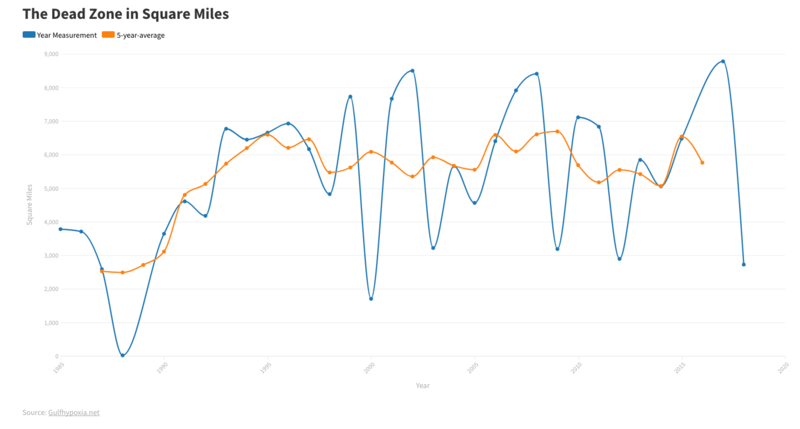 Just as the public is largely unaware of the annual drama surrounding the hypoxia prediction, even more obscure is a dead zone drama that begins to play out about now behind the scenes, with very little resonance with the public. This is a professional disagreement about the exact causes, implications and solutions for the dead zone. Members of the latter (secondary) dead zone camp agree that gulf hypoxia is serious and getting worse but they view the phenomenon as having occurred prior to the massive landscape changes in the Mississippi watershed. They also point to the paradoxical absence of a smoking gun in terms of evidence for a collapsing coastal fishery. Finally, they talk about uncertainties that should be resolved before a very large amount of capital, both political and fungible, is expended on action. Some of them also argue that restoring America’s Delta could help reduce the magnitude of the dead zone, a true win-win. This is an extremely important issue in my view. For example, consider the inverse relationship between the expansion of gulf hypoxia and the relentless inundation of coastal wetlands releasing huge volumes of organic matter. If there is a cause-and-effect relationship here (not a given) the successful recreation of deltaic landscape could theoretically reverse this trend. The continuing ‘debate’ among members of the first and second camps has occasionally become personal. I have colleagues in both camps and I thoroughly enjoy the intellectual arguments…but the debate has a huge downside. It plays right into the hands of those who have a vested interest in maintaining the status quo and doing nothing about a problem that has gotten progressively worse…while s Louisiana’s estuarine nursery ground diminishes. Special interests, such as fertilizer producers, gladly fan the flames of the technical debate. 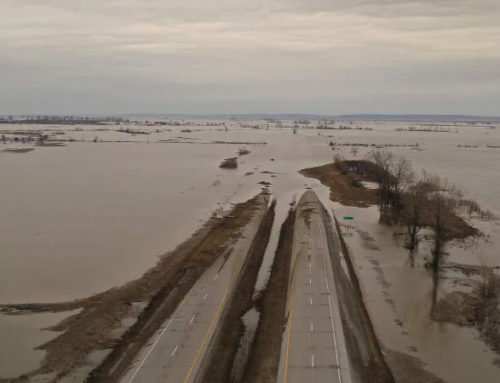 They use it as a rationalization for no action in terms of reducing nitrogen application on corn fields or its runoff into the streams that feed the Mississippi watershed. In a related issue, the use of nitrogen fertilizer has radically increased since WWII, when it is said that the cessation of a demand for nitrogen-based explosives triggered an ‘explosion’ in the production, promotion and use of nitrogen-based fertilizer. Hypoxic zones in coastal waters have subsequently become commonplace around the globe, but hypoxia in the Gulf of Mexico is truly world class in scope. 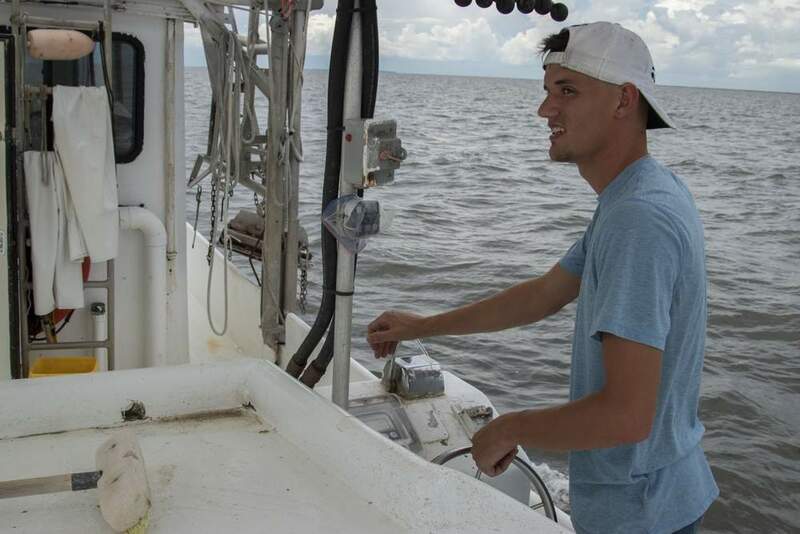 Leading the first camp, the scientists who proffer the annual dead zone prediction are Nancy Rabalais, executive director and professor at the Louisiana Universities Marine Consortium (LUMCON) and her husband R. Eugene Turner, professor at the LSU School of the Coast. 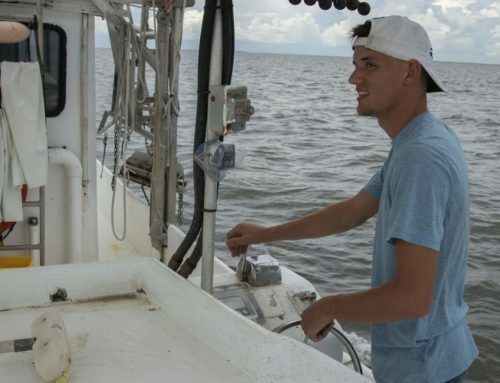 Rabalais and Turner have become particularly well known for their long term research on the phenomenon of unusually low oxygen in coastal waters. The June 2011 forecast of the size of the hypoxic zone in the northern Gulf of Mexico for July 2011 is that it will cover between 22,253 to 26,515 km2 (average 24,400 km2; 9,421 mi2) of the bottom of the continental shelf off Louisiana and Texas. The predicted hypoxic area is about the size of the combined land area of New Jersey and Delaware, or the size of Lake Erie. The estimate is based on the May nitrogen loading (as nitrate+nitrite) from the Mississippi watershed to the Gulf of Mexico estimated by the U.S. Geological Survey. If the area of hypoxia becomes this large, then it will be the largest since systematic mapping of the hypoxic zone began in 1985. Based on this forecast Cain Burdeau wrote about the dead zone for AP, one version of which appeared here in HuffingtonPost and another here in The Times-Picayun. Amy Wold wrote anarticle for The Advocate on the same topic. If there is one issue on which I disagree with the team leaders of camp one it’s my contention that the keystone element for saving the coast involves the massive release of river water far upstream from Head of Passes, which Dr. Turner has consistently opposed. Even if there were a significant risk of inshore eutrophication from this action, I see the dead zone eventually resolving itself when energy-intensive, petroleum-subsidized agriculture declines. In the mean time, whatever portions of the delta that are lost will never come back in the lifetime of anyone now alive. 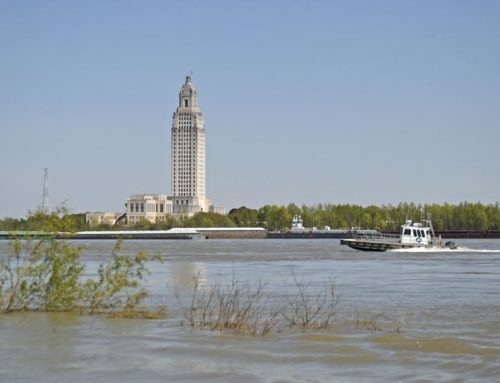 I am personally convinced that releasing most of the floodwaters from the Mississippi inland of the gulf through modified levees or control structures could introduce sufficient turbulence to prevent the setup of a floating freshwater layer that now occurs in the gulf, a density stratified system that hypoxia depends on. 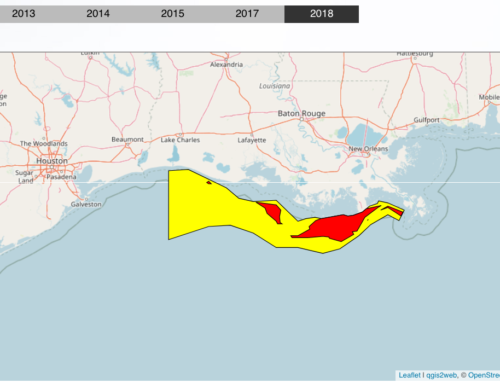 Rabalais and Turner may be correct in predicting the largest dead zone on record this year. On the other hand, this prediction is based on total volume and nitrogen concentration. 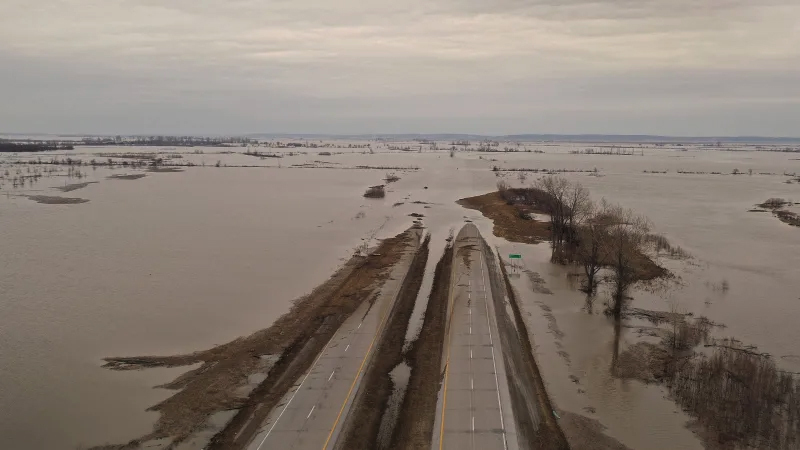 On the other hand I wonder whether the effect of putting a significant fraction of the water through the Bonnet Carre and Morganza floodways present significant potential for nitrogen assimilation not considered or accounted for in simplistic model. Scientific studies have established that corn-based ethanol is a net energy loser. Subsidizing the production of corn has been a huge mistake, in terms of energy efficiency, rising food costs AND the runoff of even more nitrogen into the Gulf of Mexico. As I write this the hot news is that the US Senate just voted to repeal the Ethanol Subsidy and Tariff Repeal Act. Now there’s a step in the right direction.